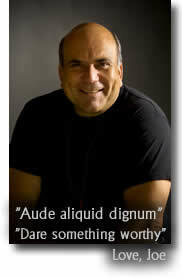 star in the movie The Secret - Dr. Joe Vitale. CLICK HERE TO ORDER the CD version! Click here to order the MP3 Download version. If You Listen To Any Type of Music, This May Be The Most Important Letter You Read This Year. Have you ever felt out of synch? A little out of control? Experienced the loss of creative juices that once flowed freely? Experienced a loss that caused deep pain and/or sadness? Remember what that feeling felt like – it is important – we will be coming back to it in a moment. We are only starting to learn the true power behind music, rhythm, harmony, and its effects on the human mind, body, and soul. In fact, sometimes it seems that modern day science is playing catch-up; proving what the Ancients already knew thousands of years ago. The Chinese realized and harnessed this power as far back as 3,000 years ago. Ancient Persia tapped into this power 800 B.C. Ancient Greece use of music dates back over 2,000 B.C. Recently, scientific research has proven that certain types of sounds, beats, and music have healing, mood enhancing, and mind-expanding powers. On the flip side, it has been found that some music and patterns have the exact opposite effect. It’s not so much to be careful what you say, it is becoming more and more evident that we need to be just as - or even more careful to what we hear and listen to. Imagine if you will, your entire being as a set of tightly bound guitar strings on a guitar. A perfectly played chord represents the harmony and positive energy in your life. The rhythm of the music represents your body, as a faster rhythm raises your awareness and energy levels while a slower rhythm has hypnotic-like relaxing effects. And the music, as a whole, represents your mind because of the thoughts, emotions, or ideas that the music evokes. If you were to play your life guitar with random unmatched cords and unpredictable rhythms, the sound (vibration) created would be unpleasant. You would be out of synch and out of tune. Sadly, this is how millions of people live their lives. Modern society has become complicated. Noisy. Overwhelming. Recent scientific research has shown that living in areas with a lot of noise have a negative impact on ones health. Places like noisy cities, highways, airports, etc. 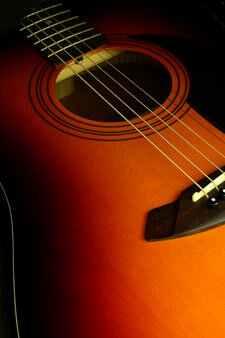 Many people are living their lives with an out-of-tune guitar being their life’s soundtrack, without even realizing it. How can you spot these people? It takes them longer to bounce back after a setback such as a divorce, bad breakup, job loss, loss of a friend of family member, etc. Thankfully, there are people who live in areas with a lot of background noise (think of this noise as a bad chord on a guitar or negative energy) who understand how important it is to become grounded as often as they can. They simply re-tune their inner guitar. Now what is amazing about this is that re-tuning your internal guitar to keep perfect rhythm and harmony is fast, easy, and painless… if you know exactly what you should be listening to. People achieve this ‘re-tuning’ through meditation, yoga, and the most popular choice, is music. Many people are self-medicating themselves to bring back the internal rhythm and harmony they have either lost or become out of touch with. The rise in popularity and the number iPhone and Android apps for music that relaxes, hypnotizes, and aids in meditation shows people are finding their way back to ancient methods to evoke happiness, health, energy, and creativity. Which of course, is all connected to harmony, rhythm, and music. Music fuels emotions and can create or dilute your energy levels. An untuned guitar that plays a chord off-key releases not only a bad sound, but also negative vibrations, or negative energy. After some fine-tuning of the strings, chords that are played in harmony release positive vibrations, or positive energy. Blue Healer uses a combination of ancient chants, blues, new age, and trance music that provides hypnotic healing powers based on ancient principals and sounds designed to get you into synch – and keep you there. Blue Healer is original material by me, all designed to move energy through you and help you feel great. In fact, I played seven different instruments, including a rare 1915 Gibson Harp Guitar (pictured on the cover of the CD). As far as the chants, I chanted special Hawaiian and Sanskrit phrases designed to heal issues and remove blocks. 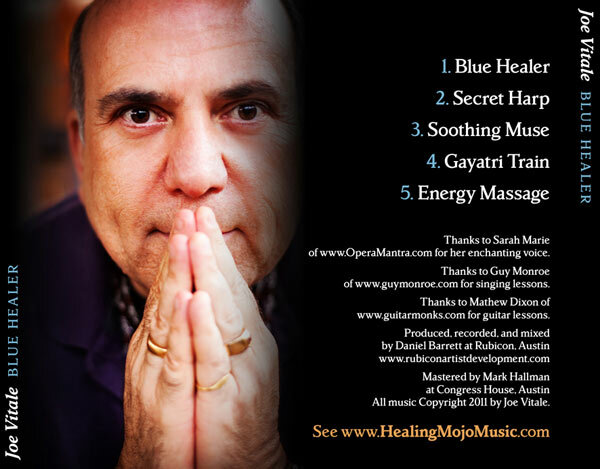 Many of you who have heard about Blue Healer from others surely know about track #4. Track #4 is so potent that I doubt any problem or issue can remain while you listen to it. I describe it as a freight train up your spine, as it opens all the chakras and leads to a satori experience of awakening. These five tracks are designed to be played as you meditate, work, play, drive, or rest. They are powerful. They move energy. They invoke spirit. Some are relaxing. Some are igniting. The track “Gayatri Train” alone can help heal you. It rumbles your energy and stirs your soul to your core. Sarah Marie contributed her enchanting voice to four of the tracks, which creates a beautiful feminine-masculine balance. You will love it. 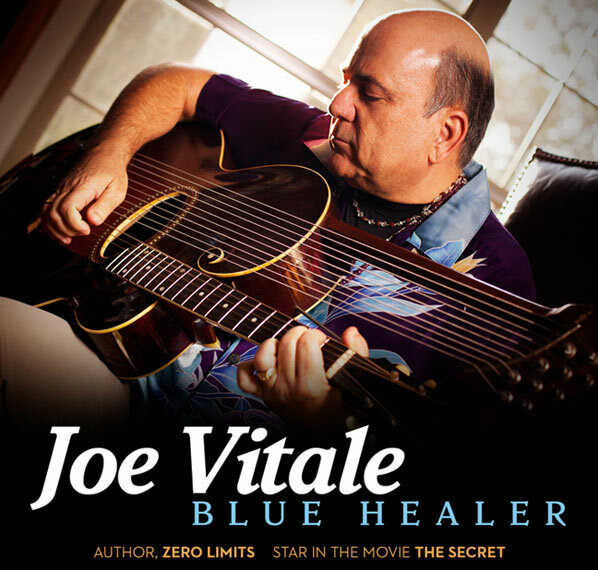 What I find most interesting about Blue Healer is what the music means and what the music does to everyone who experiences this CD. Blue Healer will inspire you. Blue Healer will open your creative mind. Blue Healer will re-tune your internal guitar strings so you too can begin experiencing life in perfect harmony and rhythm. Blue Healer will release deep-rooted negative energy you may not have realized you were holding onto. For some of you, you already understand the power behind and imbedded deep inside Blue Healer. And for that, I commend you. I am confident that I can help take you to the next level. Blue Healer is not just for those who have any known issues or problems they are trying to resolve. If you are already grounded, practice meditation, and feel great, Blue Healer will help you get to the next level. In fact, I have heard stories from people who do consider themselves grounded and even advanced in the areas of meditation, attraction, and happiness who have had incredible experiences with Blue Healer. Sometimes there may be underlining issues or past pains that were buried so deep, we never knew they were there until they are gone and we are freed. But honestly, at the end of the day, Blue Healer is for EVERYONE, no matter who they are. Humans, just as any great guitar in the world, need fine tuning from time to time. Many didn’t know how to go about it; Blue Healer is the answer. How Should You Listen To Blue Healer? 7. Keep journal next to you to write down ideas, insights, etc. Now keep in mind, everyone who experiences Blue Healer will have his or her own experience. The above is just a guide for some of you. However, for most of you, you will quickly find your own methods that work for you while listening to Blue Healer. Some people listen to Blue Healer during meditation. Some people listen to Blue Healer while walking or running. Some people listen to Blue Healer while driving to and from work. Whatever way you find Blue Healer works best for you – is what works best for you. Everyone has a different experience. You will be no different. Get a copy for yourself and someone you love today. Click the button below to order. Just $12.95 plus s/h for the CD version. 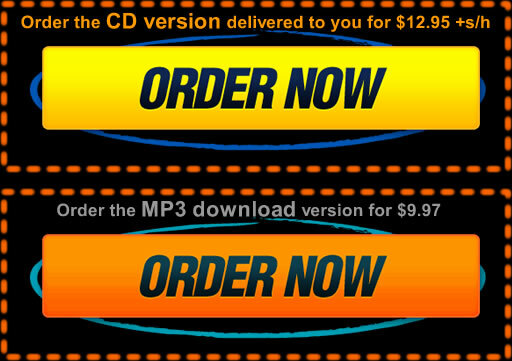 Just $9.97 for the MP3 download version. PS - Remember, Blue Healer was designed to move energy through you and help you feel great. No matter where you are on your journey, I am confident that experiencing this music will have a dramatic impact on your life. 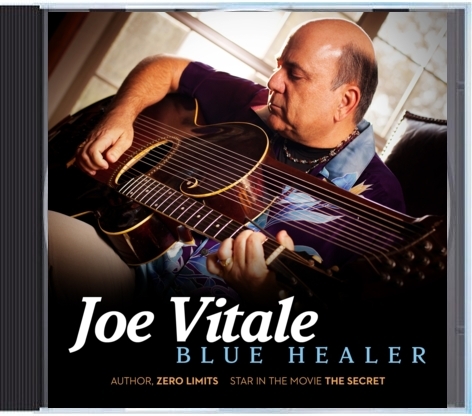 Click here to order Blue Healer on CD today. Click here to order the MP3 download version today.